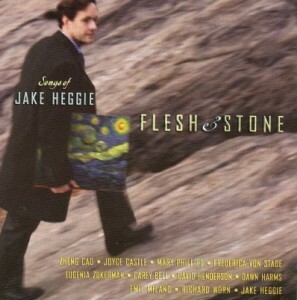 perform some of Jake’s recent works, including the complete cycles Statuesque and The Deepest Desire, plus selections from Winter Roses and The Starry Night. Also featured are performances by Eugenia Zukerman, flute; Carey Bell, clarinet; David Henderson, saxophone; Dawn Harms, violin; Emil Miland, cello; Richard Worn, bass; and Jake Heggie, piano. For more information about the compositions on this recording, see STATUESQUE (2005), THE DEEPEST DESIRE (2002, 2005), WINTER ROSES (2004) and THE STARRY NIGHT (2001). All proceeds benefitted Classical Action to support AIDS services, awareness and education.